Anyone can take pictures using a DSLR camera but an expert in industrial photography can only take the right industrial images that can give good representation of your company. Industrial photographers are equipped with the right photography tools and equipment to take high-resolution industrial images. They can take images with clear and crisp details. Note: All pictures on this website belongs to photographer Isa Aydin. If you need an industrial photoshoot, You can contact him directly by calling (201) 343-4359 or via website. They have good photography skills and they possess various technical skills to get pictures with the maximum impact. They know how to take pictures of industrial buildings or even equipment using the right angle, lighting and mood. For instance, industrial photographers who are tasked to take photos of dilapidating refineries know that they have to take photos on a gloomy afternoon because the light provides a lot of dramatic effect to the final image that can create a lasting impression. Photographing comes in different fields and expertise. This means portrait photographers are well-trained to take good portrait pictures while industrial photographers specialize in taking stunning industrial photos. Just like other photographers who specialize in their respective fields, those who are into industrial photography have deep industry knowledge. They know which photos are important and which ones are not. 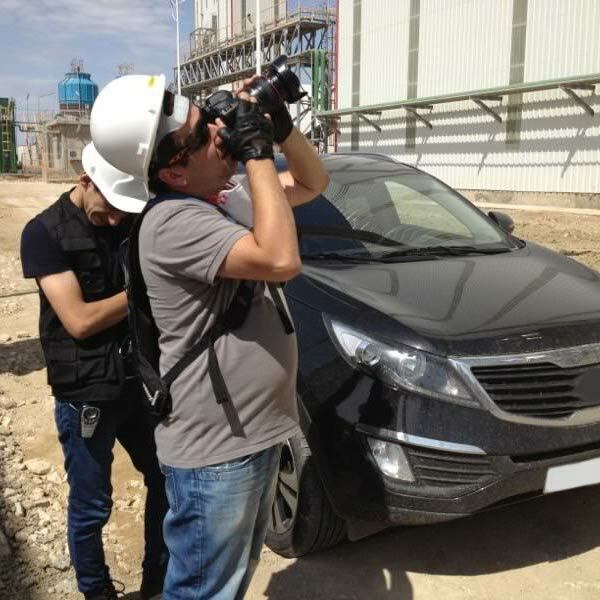 For instance, if they are commissioned to take a photo of a railway under construction, they know which photos they need to take which include the setting up the railways lines. They will take images of the structures and not the people involved in the construction. Industrial photographers are very important in taking great images of products, equipment, and structures. Let our industrial photographer Isa Aydin help you achieve detailed images that will truly represent your business.